Did you know that peanut butter and whole wheat bread form a complete protein? So of course we needed to share three delicious ways of getting in those protein. There will be both sweet and savoury toasts using peanut butter as a base. 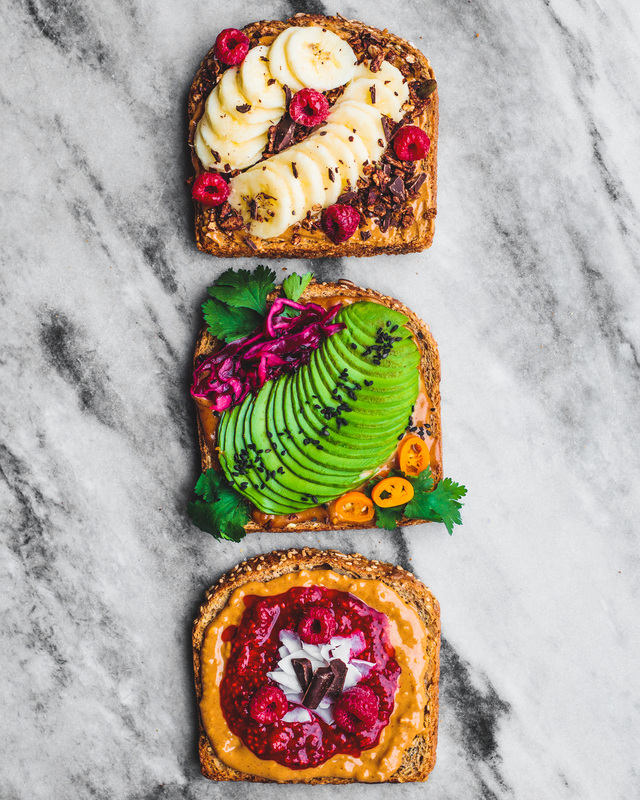 Here are three fun and creative ways of having peanut butter toast combined with spices, fruit and veggies. Let’s start with a classic, peanut butter jelly! Most kids grew up eating this combination, as it gained large popularity in mainstream media. We tried our best to create a healthy alternative without a jelly that’s jam packed with sugar and sweetened with nothing but dates. Find the recipe for the jelly over here. 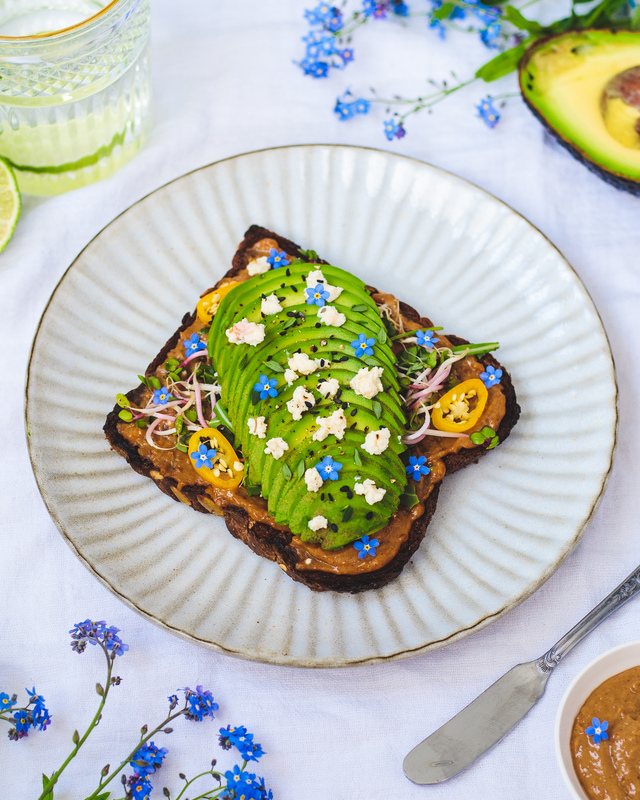 Now it’s time for one of my favourites, the savoury peanut butter toast with avocado, herbs and veggies. To create this toast we need to mix the peanut butter with a bit of garlic powder, soy sauce, chili pepper & some warm water or non dairy milk. We’re basically making a spicy peanut sauce to slather on our breads, because when it comes to the kingdom of toasts, there are no rules. Top it with avocado and your veggies and herbs of choice, this ones a winner! Oh and tip: sprinkle a small amount of kala nemak (black Indian salt) on top of the avocado, for an egg like taste. Now all but one is left, the peanut butter & banana toast, with a twist. We added some cinnamon, ginger & cardamom powder through the peanut butter to create an interesting combination, add these spices too taste, and remember a little goes a long way. Now all that’s left to do is top it with banana, optionally other fruits of choice and maybe some granola for some crunch. When it comes to food always feel free to think outside of the box and to take some risks, the kitchen to me truly is an adult playground.